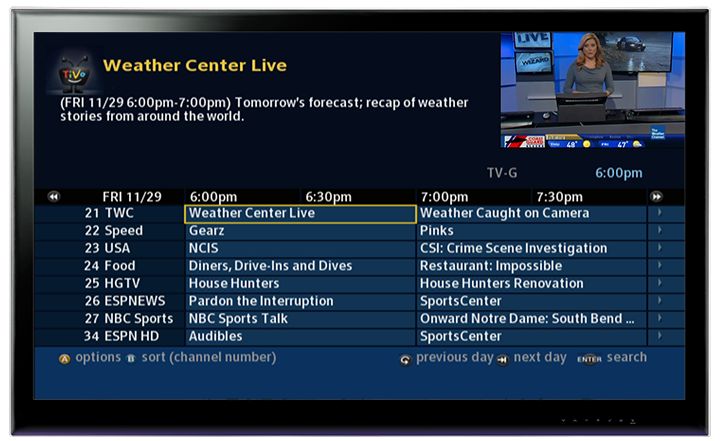 TiVo DTA Guide makes the transition to all digital easy for the operator and subscriber by integrating a program guide with the digital transport adapter (DTA). This TiVo channel guide gives the user the intuitive TiVo experience in a “lite” version to enhance Evolution Digital’s uDTAs. Keep your analog subscribers happy and give them the TiVo DTA Guide to make their viewing experience seamless. Users will enjoy the convenient TiVo channel guide with a user-friendly TV listings grid, descriptive program information, easy browsing and more.